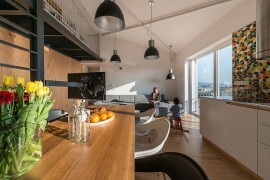 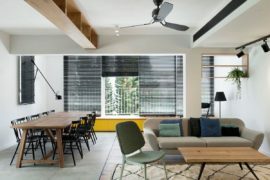 Remodeling an old home into a modern delight that meets the needs of its contemporary owners is a hard task in itself. 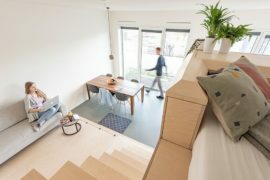 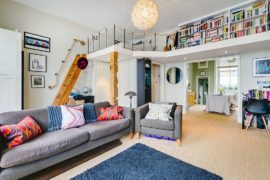 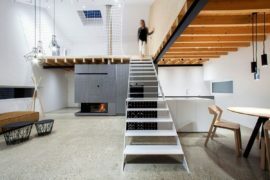 But this becomes even more challenging when you have to incorporate space-savvy features and smart storage options that make the most of every inch on offer. 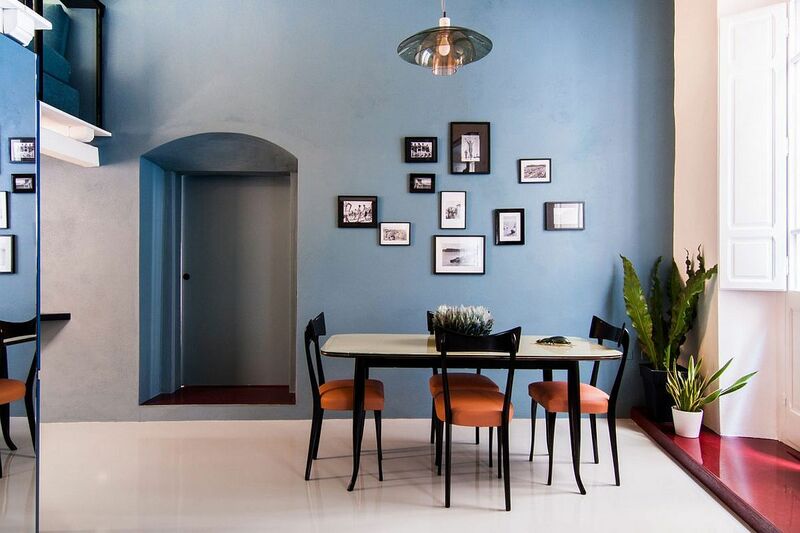 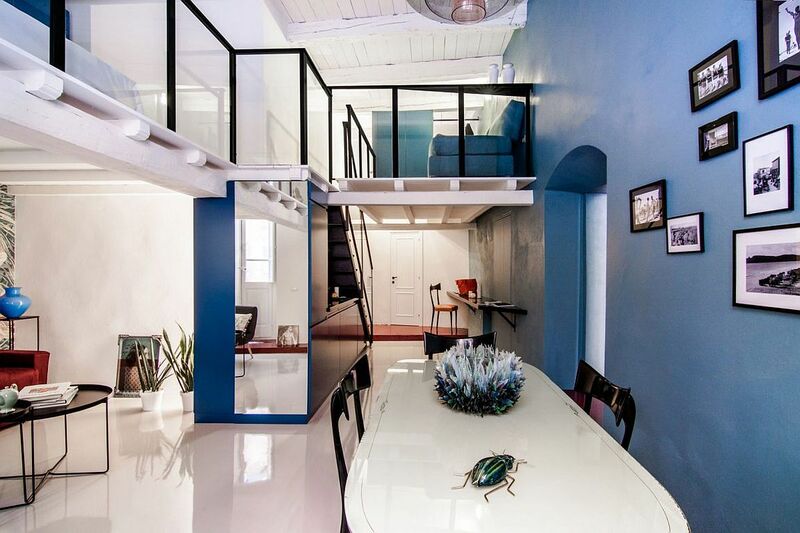 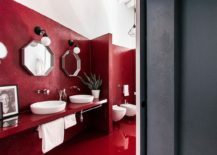 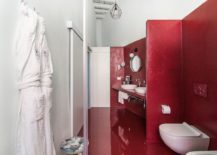 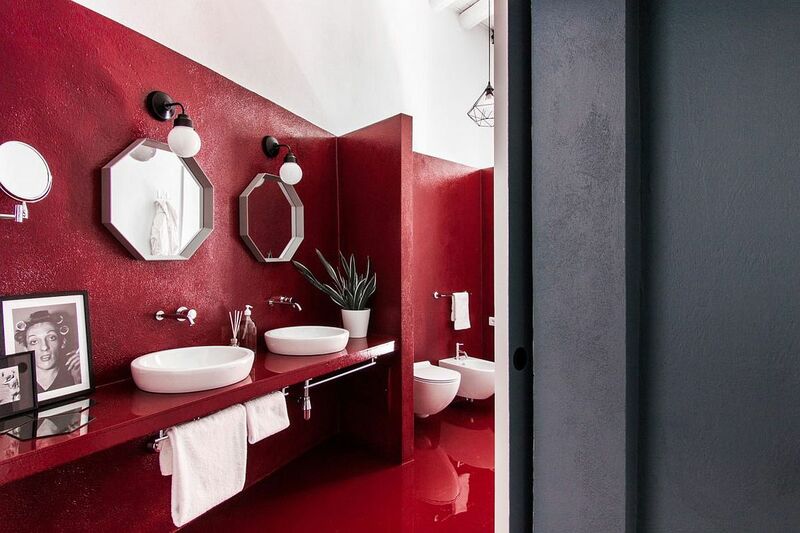 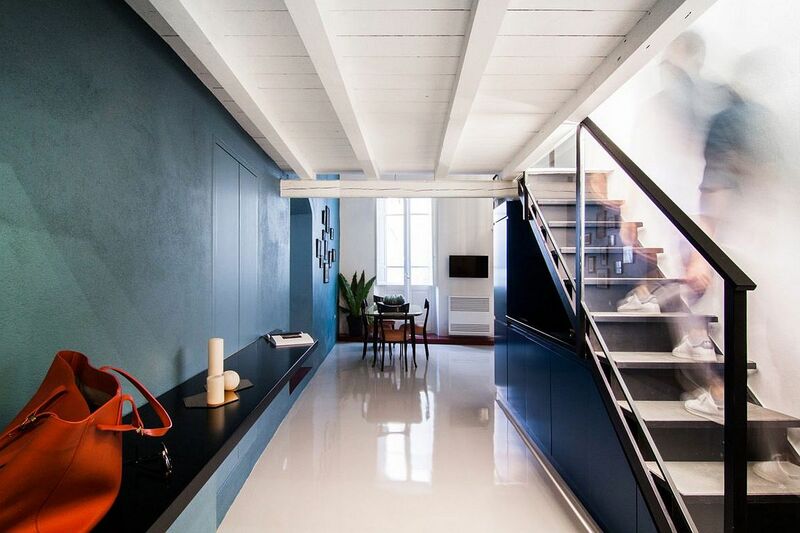 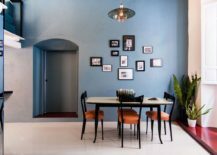 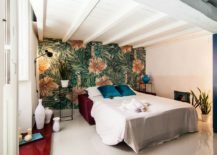 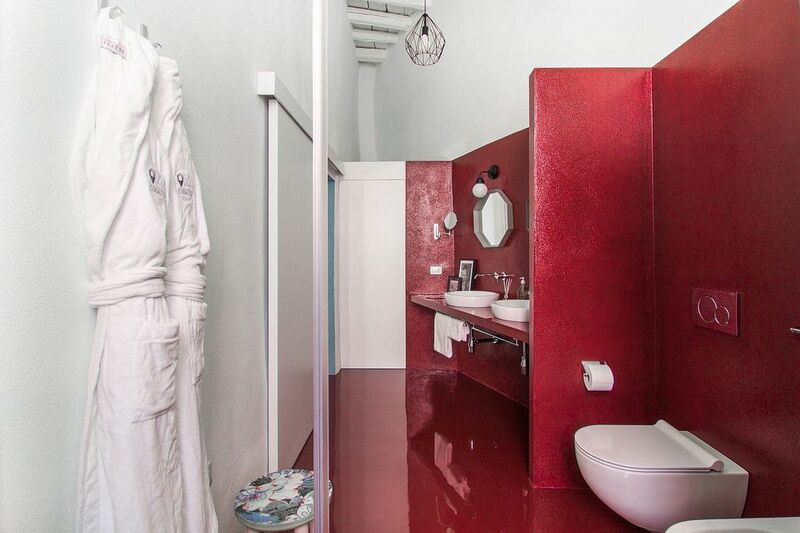 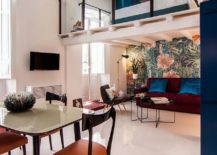 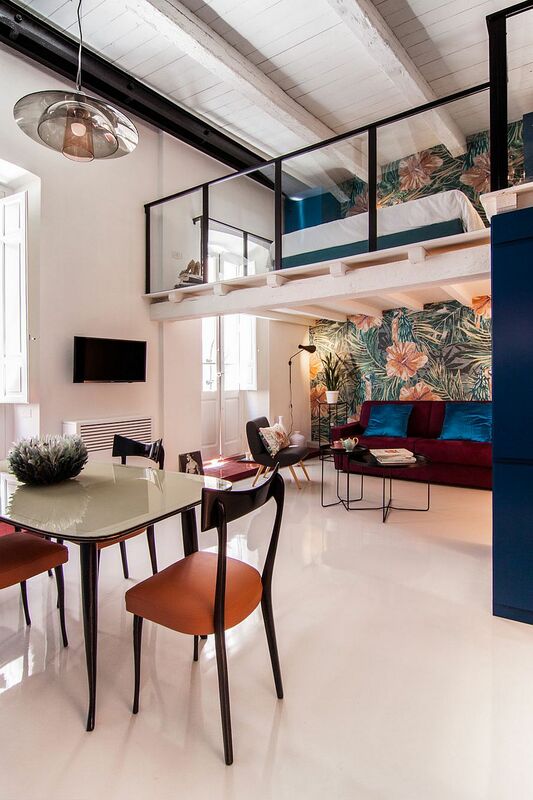 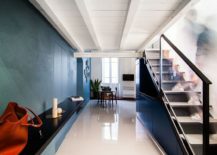 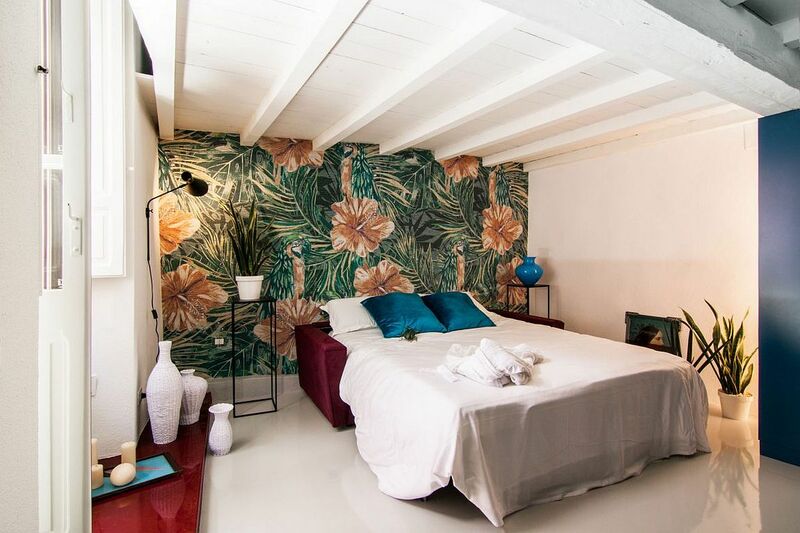 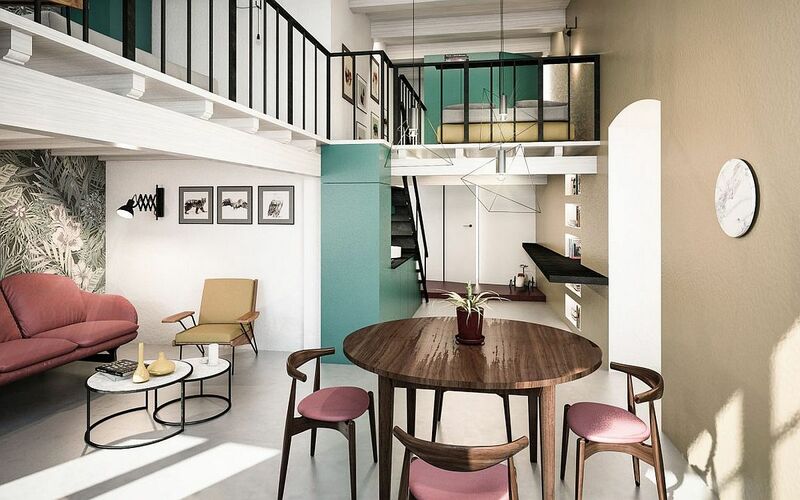 Nestled in in Cagliari, Italy, this stylish, unique and charming modern home was redone by Mauro & Matteo Soddu from Tramas & STUDIOTAMAT to ensure that there is never a dull moment for those residing here! 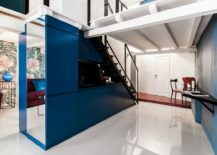 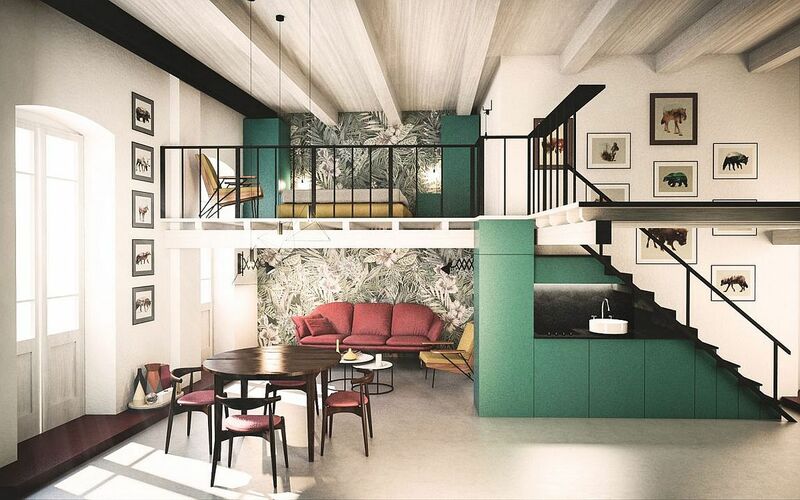 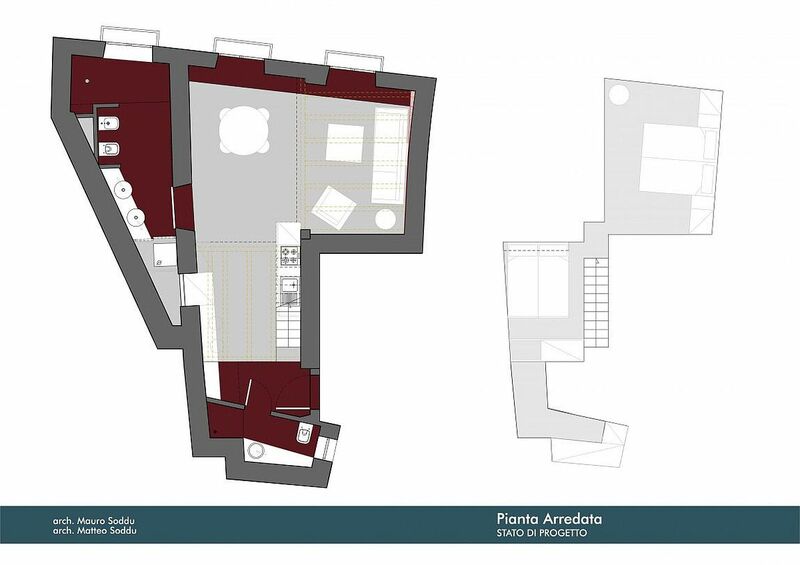 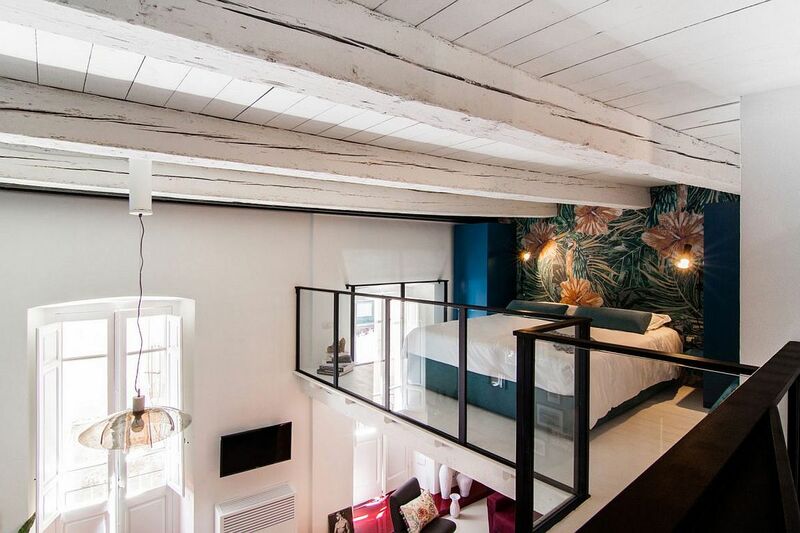 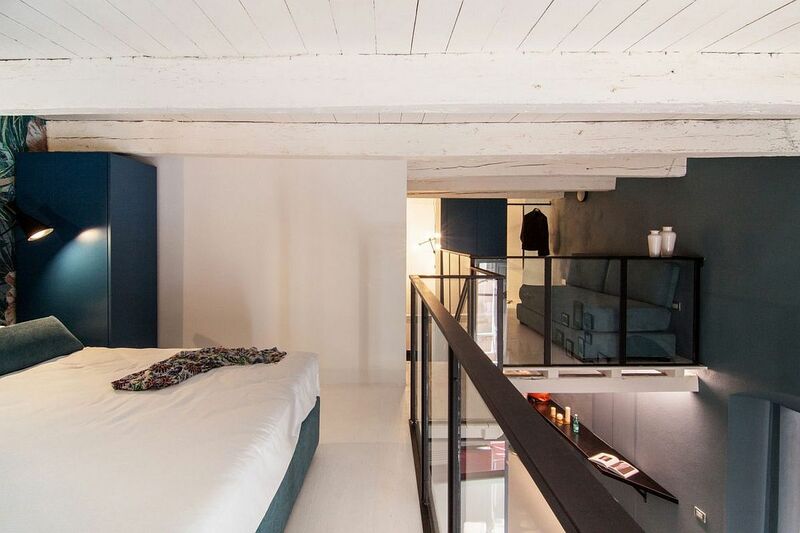 The floor plan of the revamped interior utilizes the vertical space on offer to the hilt by adding a mezzanine-level bedroom and study that enhance the visual appeal of the space. 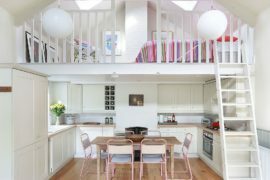 It is easy to see the many space-saving additions inside this cheerful and light-filled home. 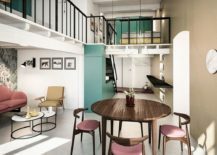 The standalone kitchen unit and workstation (sitting under the stairway), the small living area and the multitude of nifty cabinets give the lower-level living area a breezy ambiance. 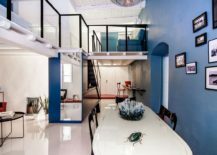 The dining room sits at the heart of this floor and offers a glimpse of the mezzanine-level bedroom above. 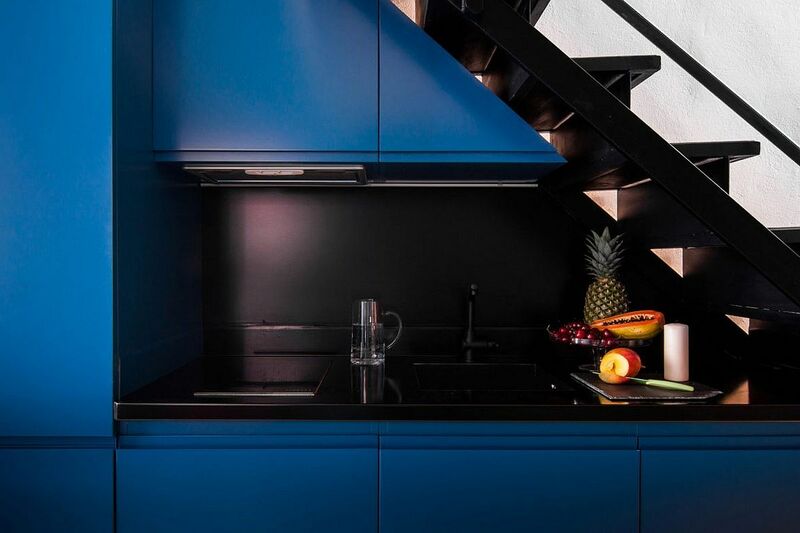 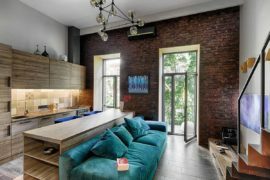 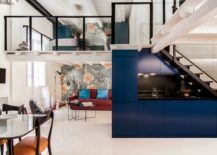 The blue cabinets of the kitchen and the dark, black workstation add color to the space, even as the custom wall mural in the living area and the bedroom above usher in pattern and panache. 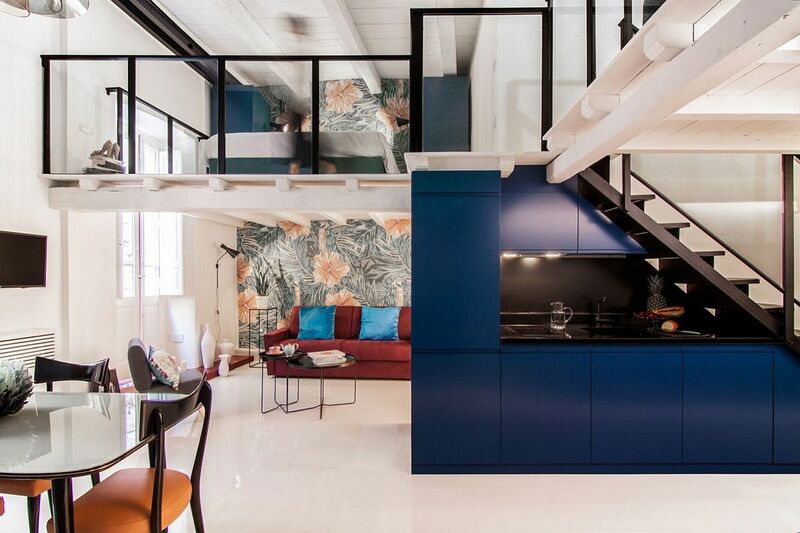 Attic Level Ups Space-Savvy Style of this Serene Scandinavian Home!